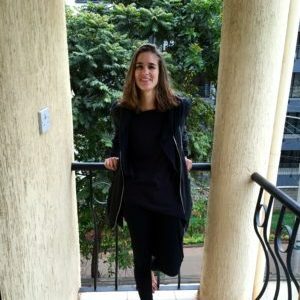 Giulia is the Communications Coordinator for REFUNITE, a tech non-profit that helps refugees and internally displaced persons find and reconnect with their families through mobile phones. Her interest in migration and forced displacement has taken her to refugee communities in reception centres between Italy and Switzerland as well as the Kakuma Refugee Camp in Kenya. Giulia is committed to building more inclusive and welcoming societies and cultures. She holds a MSc in Medical Anthropology from the University of Amsterdam and a BA in Cultural Anthropology and Italian Literature from the University of Fribourg.